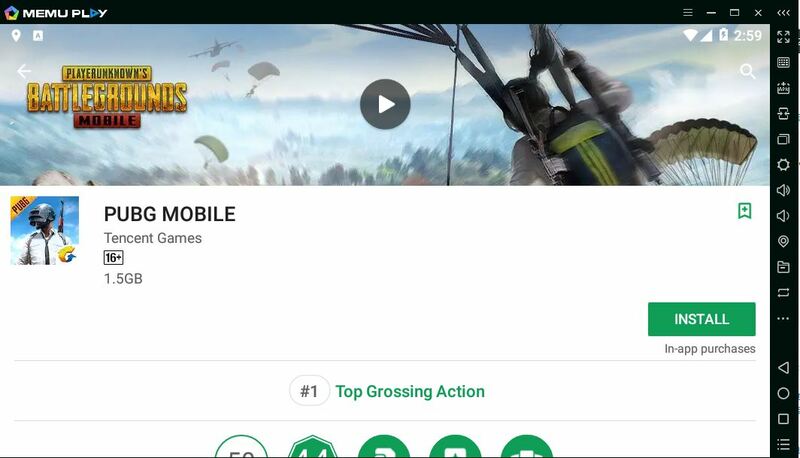 As the era of Battle Royal games is going on and some of the Battle royal games are breaking the market with their huge popularity and fan following, Player Unknows Battle Grounds (PUBG) is surely the no.1 in demand. This game has a huge fan base, over 35 million players around the world and a huge number of live stream viewers. But the thing is PUBG is actually a paid game for PC, which is only available through the Steam server. It costs around $15-$18 dollars depending upon your region. But there are a huge number of players who do not wish to pay that kind of amount for the game or many of them simply cannot afford it. For those players, the PUBG Corporation has released a Mobile edition of the game which is available for Android and iOS. The game is pretty much the same as the Paid PC version. This game has a different paid edition for Xbox one also. PUBG is still not available for PlayStation Modules. The smartphones have only touch input method, which makes the game control much slower and difficult, as it is a very fast-paced game, a good controlling method can make the difference between winning and losing. The phones run on battery, so while playing the battery you may lose a significant amount of power within a very short time, which makes the user keep an eye on the charge spontaneously; moreover also degrade the battery performance, if play for very long time. Beside the battery performance, the phone is very small & compact device and definitely get hotter and you may face performance issues. Incoming calls and messages create disturbances while playing. If thinking about playing and recording the game or streaming the game online then mobile performance may become so laggy, that any player will face problem while playing the game. Of course, the PC has a bigger display, better audio output system which will help the player to win. 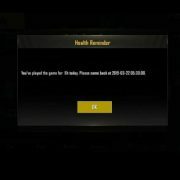 Now we are going to talk about how to install the game (PUBG Mobile) on the Personal computer to play it just like any other pc game using your mouse and keyboard. Do not be afraid of any piracy related charges as these methods are completely free and legal. We are going to use some Cross-platform software known as Emulator to do the job those are available for Windows, Mac, and Linux too. There are many Emulator apps available for the pc which emulates any Android app to run into the PC environment. Out of all those Emulators we are going to talk about only some which are suitable enough to play PUBG Mobile on Pc without any performance issue. 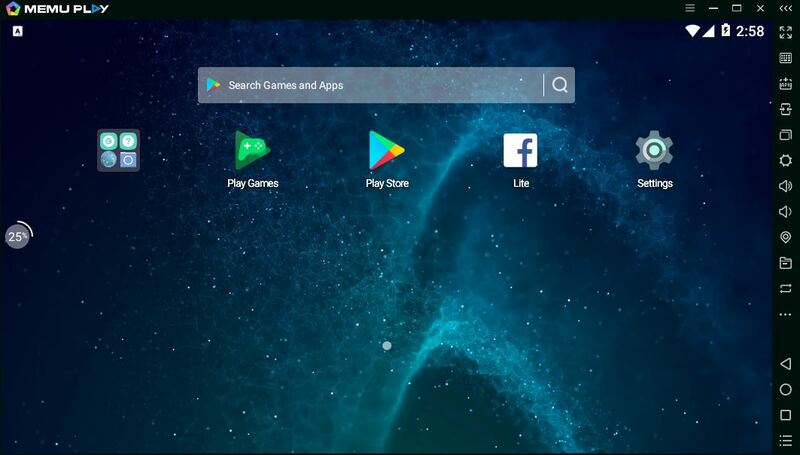 BlueStacks is one of the most popular Android emulators around the world. It has the highest number of downloads around the world in this type of software. It has very good user-friendly, easy to use UI which can be learned easily. You can also use this emulator to make a backup of the data of your phone in the pc. Remember to play the game on the pc you must have 4GB of RAM and a Multicore CPU in your system. 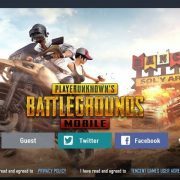 How to play PUBG mobile using the Bluestacks on PC. Install the Bluestack, here is the link. It is available for both Windows PC and MAC. And search for the PUBG Mobile. You can also download the PUBG Mobile.apk directly from the internet and install it by using the “My apps” program in the emulator. 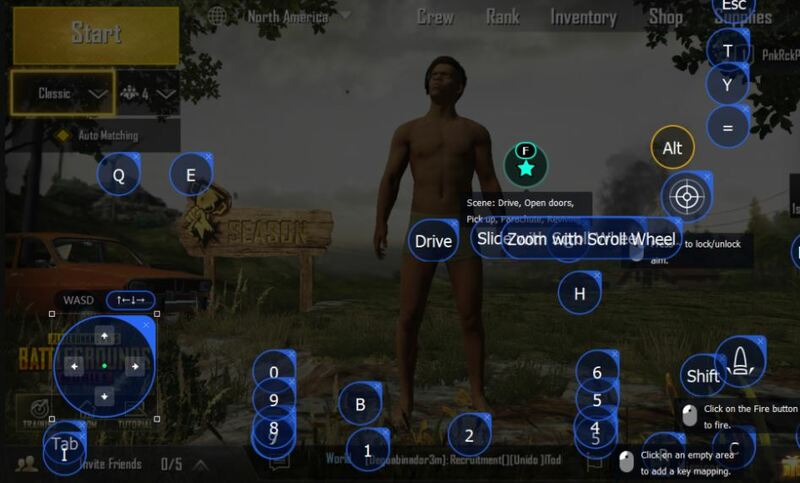 After installing the PUBG login into your account, and go to the Setting menu of the game and set the aspect ratio as “System Default” Set the DPI settings to HIGH and change the engine to “Open GL”. Now you are ready to play. Now you can edit the controlling method, and to do it properly you may have to play trial matches multiple times. Some player may end up with unsatisfactory control setup even after trying many times. First, you need to download the software MEmu: Here is the link download the MEmu. Click on the Google Play store app. Note: If you are using the Play store on MEmu first time then you need login it with your Gmail ID. Install the PUBG on MEmu from the Play store. Click on the shortcut created on the home screen of MEmu. Change the display settings to match up the display of yours, make the DPI settings to High as the pc monitor is much bigger than any mobile, and set the antialiasing system enabled. Use the setting of high FPS to ensure best running performance and lag-free gameplay. Now you can start your trail matches and edit your controlling methods and key binds as per your like. But remember this is going to take time, patience and multiple tries to get the optimum controlling method. There are many more emulators available which are almost the same as the above discussed two and have almost the same pros and cons and installing and configuring methods. If you want to try them out too, then search for Nox App Player, GenYmotion etc. But if are looking for the best solution to play PUBG Mobile on pc only, then you should definitely go for the “Tancent Gaming Buddy”, which is an official product to play PUBG Mobile on pc from the “PUBG Mobile” developers “Tancet Holdings”. To download Tancent Gaming Buddy search on the google or go to https://syzs.qq.com/en/ directly. Download the software and it will download the PUBG mobile automatically for pc. If the automatic process did not work read the details mentioned on the website and follow them. After the download is finished fist change the language setting into English as the default language is Chinese in that software. To do so you have click on the options button on the top-right corner beside the minimize button, now click on the 3rd drop down option which is settings, then change the last option which comes in that window, which is the language button. Now you are ready to go, so log in and check the graphics settings. If your computer has the adequate specification (4-8 GB Ram and a quad-core CPU with good processing speed and at least a GPU with 1Gb VRAM) then you can put all the settings to high, but put the FPS setting at the max for all cost. If needed you can lower the other settings but make sure FPS settings are maxed out. You can turn on the antialiasing also. Set the color option according to your eye preference. Now comes the best and most important part which is mapping the key bindings. In the Tancent Gaming buddy the game comes up with a preset, fully optimized key binds, and for 99% of the users, the given key mappings work as smooth as butter. So, if you want to avoid all the hassles of key mapping and testing again and again then you should definitely go for the Tancent Gaming Buddy. This emulator is very well optimized to specifically play the PUBG Mobile game. So, it overcomes almost all the problem which one player was about to encounter due to the cross-platform operations. The software is completely free and you can also call their customer service if any assistance needed. Of course, the microtransactions to obtain cosmetic items in the game charge money as per the game company’s rules. One more thing the players should note that, if you are looking to make the game easier to play by using a computer against all mobile players to gain easy wins then you are going in the wrong way. This is not possible at least with PUBG Mobile. As the developers have employed a new emulator counter service which detects the game is running through a mobile or PC every time the game starts; and if Emulator detected then the player got restricted automatically while matchmaking to play against the other players who are using the same technology i.e. PC Emulators. So, any Emulator using player can only play against another Emulator using players. Though your friends can join you in the party who are using mobile to play the game, they have to play against the Emulator Using PC players which will make the game much more difficult for them. If you are Linux user like Ubuntu then you can use the Linux Android emulator like Genymotion, Andro VM, and Andy Android Emulator. which app is suitable for linux user? For running the PUBG mobile on LINUX the best way which we found personally is by using the Remix OS on VirtualBox or Qemu. In case of Linux, this is fake if you include Linux in the title. Only genymotion works in linux system but its laggy. All The Methods I try but the easiest and best is Bluestack. Swathi, on Linux, the available emulators won’t work as they have to be. 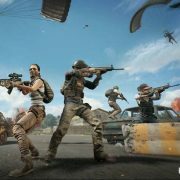 The best way to play PUBG on Linux Ubuntu is to use the VirtualBox, install the Windows OS and Tencent buddy software mentioned in this article. Maybe in future, if the Tencent buddy app emulator available for Ubuntu/linux then there would be no need of Virtualbox but until this is the best way. Does the game work by installing Windows on Virtualbox on a Mac machine ? I installed Bluestacks and PubG on my Macbook Pro but the game crashes while starting. How do I fix this? The BlueStacks or any other Android Emulator works a little bit weird in Mac (maybe some supporting issues are still present there), BlueStacks 2 which is supported on Mac is relatively a new software, which needs much modification till date. You can use try the NOx player for mac. Second, optimizing the game using BlueStacks is tricky even if it works, you have to edit the whole key mapping by yourself. 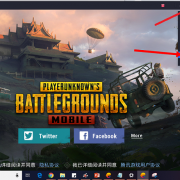 Instead of that try to install NOx player, and if you want to play on Windows then the Tencent buddy is the best one solution.